John Wick 3 Director, Cast, and Production Start Date Revealed? John Wick 3 will begin filming much sooner than previously thought with the return of director Chad Stahelski as well as much of the cast. Stahelski has yet to officially say that he is attached to the third movie in the trilogy, instead saying that he is the "prep director," but it appears as if he'll be on to finish the franchise out. It was revealed last week that the working title for John Wick 3 is Alpha Cop, but it was assumed that production would begin this spring or early this summer. A new report from That Hashtag Show reveals that John Wick 3 begins production on March 1st, 2018 in New York City with other rumored locations including Russia and Spain. The New York City locations point to the possibility that the movie will take place after the events of the second movie, which is something that Keanu Reeves has talked about. In addition, it looks like much of the cast is returning as well. Laurence Fishburne will be returning as the Bowery King along with Common's Cassian and Ruby Rose's Ares from the previous movies. There will also be multiple new faces with John Wick 3's antagonist being played by Hiroyuki Sanada (Avengers 4). Sanada will be playing the head of a Japanese crime syndicate, presumably with a score to settle against Keanu Reeves's Wick. This will be a reunion for the two actors who starred together in 2013's 47 Samurai. The studio is also looking for a woman to co-star with Reeves ranging from her late 20s to early 40s. While Reeves hopes to bring Tilda Swinton into the John Wick franchise, but it is not clear if she will sign on at this time. John Wick 3 will keep its official release date of May 17th, 2019, which is also welcome news for fans who have been clamoring for any bit of news that they can get about the third and final movie in the trilogy. Keanu Reeves hinted that the production could end up in some international locations, and it appears that he was not kidding. 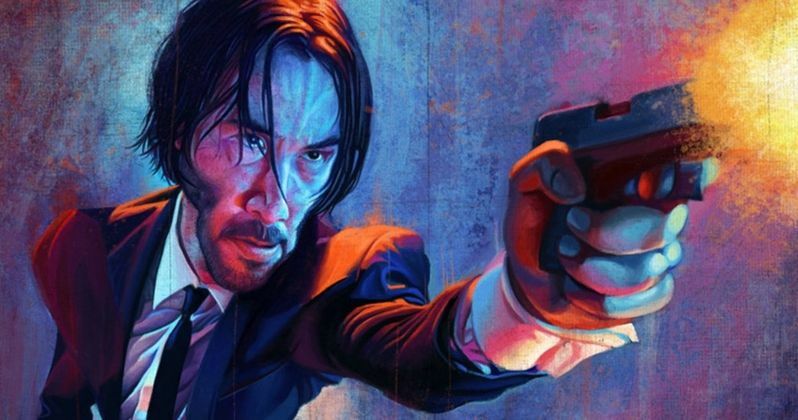 Reeves also recently said that he wants John Wick 3 to see the character trying to escape New York, which also looks like it could happen due to the production starting in New York City. This is definitely exciting news for fans that have been looking forward to John Wick 3 since the last movie came out a year ago. Director Chad Stahelski wasted no time in getting the pre-production process started and it appears that Keanu Reeves was actively involved as well, which is also great news. Since production is set to start in just over a month, expect a lot more John Wick 3 news to be announced very soon. Until then, you can check out the original report about the returning cast and crew as well as production start date from That Hashtag Show.